Natalie’s wedding was inspired by the 1960’s glitz and glamor choosing romantic flowers full of texture and contrast to bring a romantic feel to the whole day. The flowers Natalie chose were white phaleonopis orchids, pale pink peonies, white disbud chrysanthemums and white Singapore orchids for the table arrangements. These were placed around the stunning candelabras with diamante’s hanging loose. A stunning back ground to a beautiful wedding ceremony at the historic Ripponlea Estate gardens, white carpet, white rose petals and white flower arrangements consisting of white phaleonopis orchids either side of the isle and two amazing flower arrangements attached to the chuppa with flowers what else do you need a perfect setting for a perfect day. 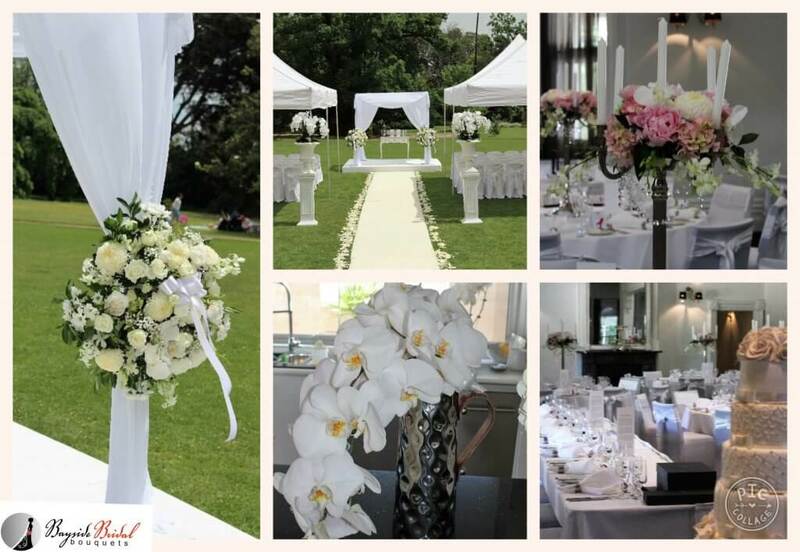 This entry was posted in Bayside Weddings and Events and tagged @quattaquatta, @vintageweddings, #baysidebouquets, #easyweddings, #gardenwedding, #melbourneweddings, #phaelonopisocrchids, #ripponleaestate, #roses, #whitewedding.